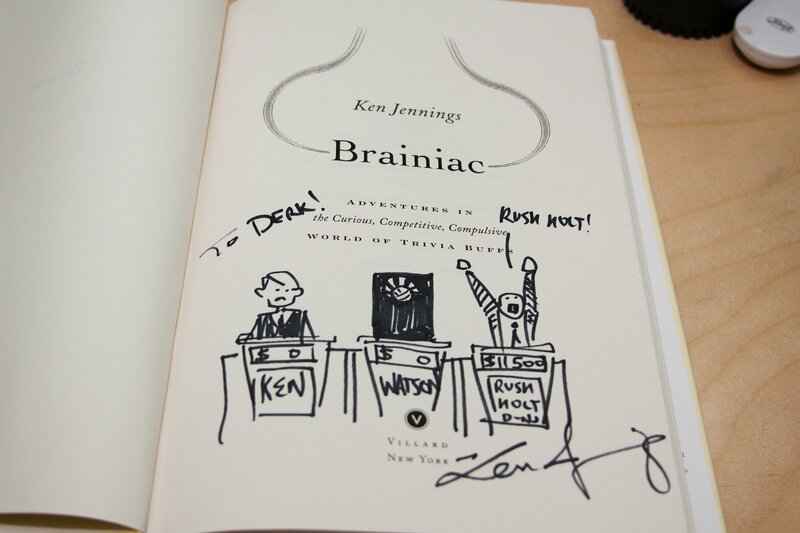 I have to say, the inscription you put in my copy of Braniac is far and away my favorite ever, so thanks for that. I guess that's not a question so... how'd you get so awesome and stuff? That's two Charlie Sheen references. You're welcome! I'm not sure that Rush Holt joke has aged all that well. See, I would have forgotten about Rush Holt without that joke. I still find it hysterical, although that might be completely tied to the Arrested Development reference. Put "Hello, reddit!" in http://foddy.net/reddit.txt and you're in. He gets occasional emails from jerks like me who spot the ones that make it through.